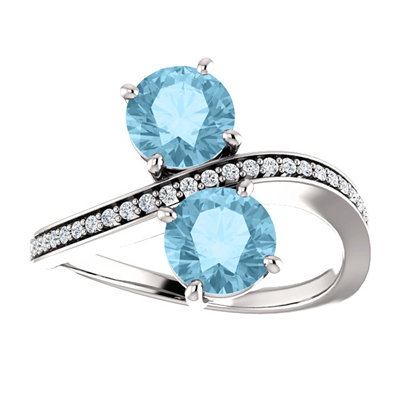 Apples of Gold presents you with an aquamarine dream with their "Only Us" two stone aquamarine ring. The 14 karat white gold ring is a true classic. Topped with a diamond cut amethyst gem that measures 6mm with a total carat weight of 0.13 and is set by our jewelry experts, in a 14 karat white gold band.